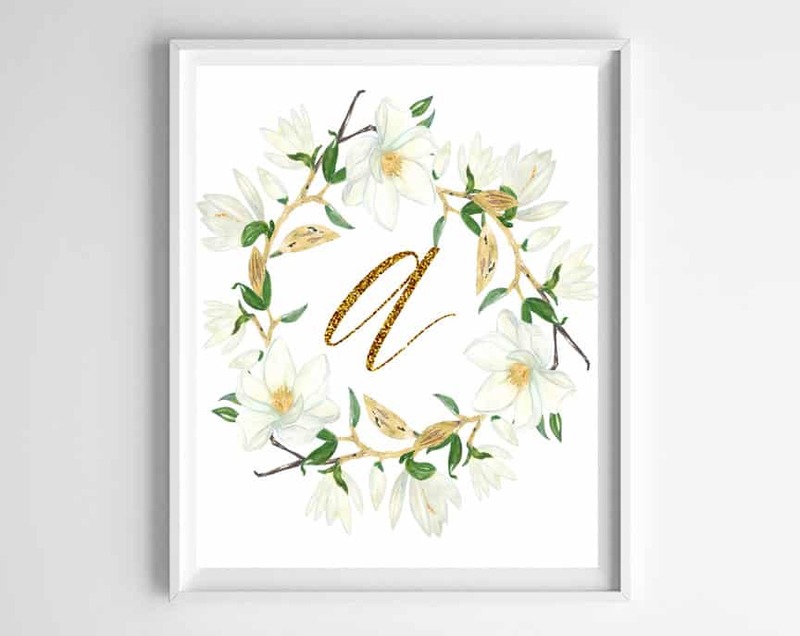 I’ve had such a great response to my last set of printable monogram art that I knew it was time to offer you another set. This set features a pretty little magnolia wreath (just in time for spring!) and of course, some glittery gold letters! I love making printables to spruce up my decor on the cheap-you can see all of the printables I’ve made for you here. And, if you love printables too consider signing up below for my mailing list-my subscribers get a free bonus printable straight to their inbox each month! Get Exclusive Printables for Subscribers! Join our community to get subscriber-only bonus printables straight to your inbox every month! These are great thank you. While viewing each of the letters I note that the letter Z does not show as a pdf, not a problem for me as I would probably never use this letter but it might be for some. Thank you for letting me know Tanya-the process for uploading them all individually and allowing access to others is a little tedious-it should be fixed now!